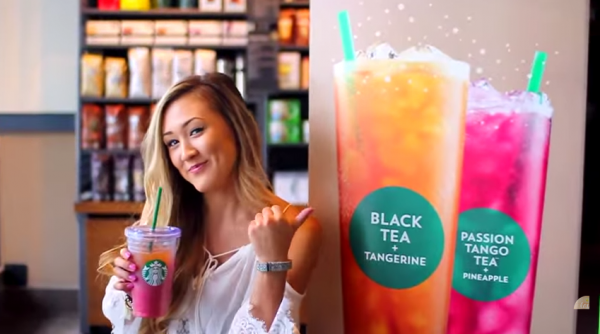 Become a glitter guru with LaurDIY at the Starbucks “Sparkle Shops”. Fans in Toronto and Vancouver will be among the first in the world to enjoy two brand new Teavana Sparkling Tea Juices: Black Tea and Tangerine and Passion Tango and Pineapple. “The Passion Tango Pineapple one is for sure my favourites! I really like both but that one for sure takes the cake for me” Lauren shares. With no added sugar and free from artificial flavours, Teavana Sparkling Tea Juices are the perfect way to add some sparkle to your summer. So clear your calendar and prepare to #AddSparkle to your life with LaurDIY and the new Starbucks Teavana Sparkling Tea Juices collection.